HomeGroceryPot Noodles Saturday Night Selection Pack 3 Varieties 4 of each Flavour. 12 Great, Quick Snacks for On The Go meals. New Flavours! Pot Noodles Saturday Night Selection Pack 3 Varieties 4 of each Flavour. 12 Great, Quick Snacks for On The Go meals. New Flavours! 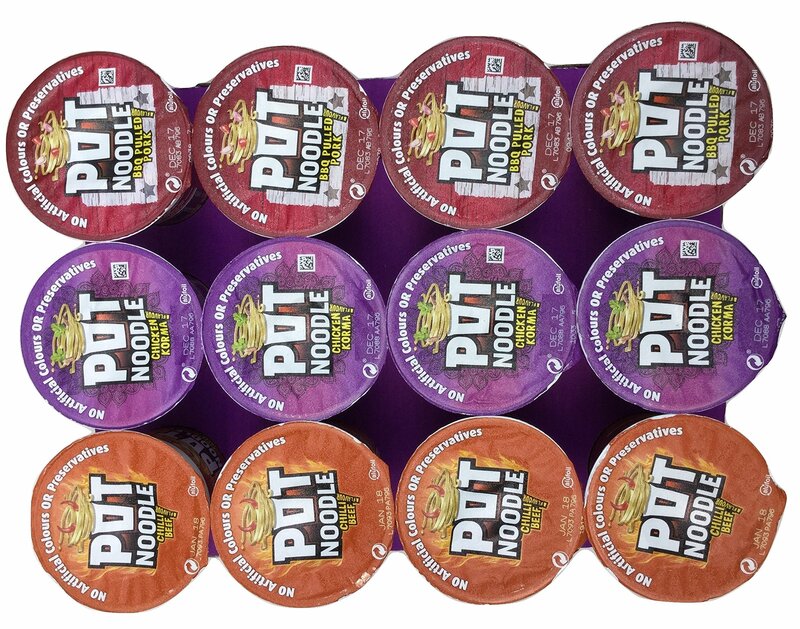 12 Pot Noodle Pots 90g each 3 different flavours 4 of each. New Flavours – be the first to try them! Chilli Beef, Chicken Korma, BBQ Pulled Pork. All you need is a kettle and a fork to make a Pot Noodle. Enjoy the variety of three new fun flavours of the nations favourite Pot Noodle. 4 pots of each of Chilli Beef, Chicken Korma, BBQ Pulled Pork. 12 pots in total. Enough to keep you fuelled up. Make a student happy – send them a pack! Great, quick, tasty, filling snack for any time of day (or night!) Send some to a student you know!